DAYTONA BEACH, Fla., Thursday, Feb. 1, 2007 --Team Penske teammates Helio Castroneves and Sam Hornish Jr., led the final day of the IndyCar Series' Open Test at the Daytona International Speedway. Castroneves led the session with a lap of 1 minute, 12.6128 seconds, 134.852 mph in the No. 3 Team Penske Dallara/Honda/Firestone. Hornish was just behind at 1:12.7670, 134.566 mph in the No. 6 Team Penske Honda-powered Dallara. Dan Wheldon (134.438 mph), Tony Kanaan (134.299 mph) and Scott Dixon (134.120 mph) rounded out the fast five for the day. "First, thanks to the Daytona track," Castroneves said. "This morning they went out and tried to fix Turn 5, which at the beginning we were swaying in and out. But it looks like in the end, people were getting use to it. There was certainly an improvement. The winds shifted today. That's why we had a little bit of a hard time. The wind was the opposite from yesterday and some corners, especially the bus stop, affected a lot of the drivers. At the end of the day, we were able to test quite well and try a lot of things. Both Sam and I tried to discuss everything. It was a great and productive test for Team Penske. Rain began falling shortly before 3 p.m. (EDT), and though the track remained open, teams chose to end the session about an hour earlier than scheduled. In all, 707 laps were turned. 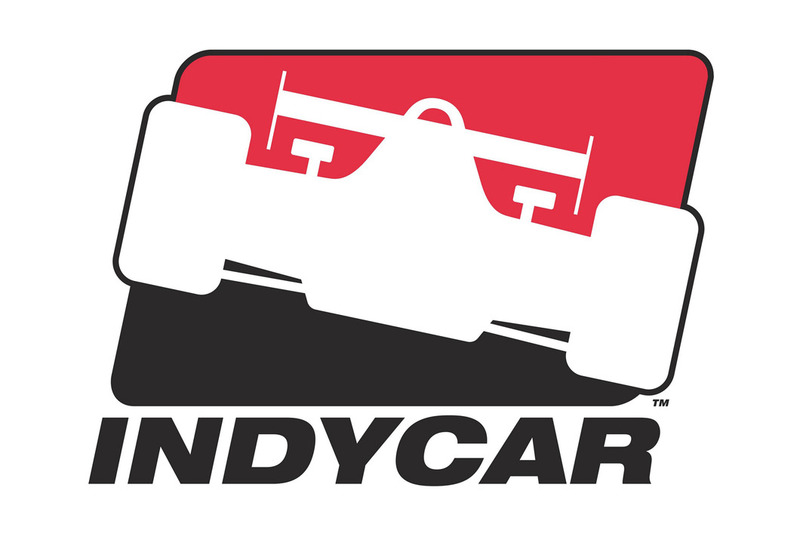 The IndyCar Seires will conduct its final preseason Open Test on Feb. 21-22 at the 1.5-mile oval at Homestead-Miami Speedway. Castroneves to address Colts: Helio Castroneves might know more about football (soccer) than football, but the two-time Indianapolis 500 winner will share a few motivational words with the Indianapolis Colts. The Team Penske driver has been invited by Colts coach Tony Dungy to address the team Feb. 2 in Miami as it prepares for Super Bowl XVI. Dungy has been the guest of Castroneves and reigning Indianapolis 500 and IndyCar Series champion Sam Hornish Jr. in May at the Indianapolis Motor Speedway numerous times. "I'm super excited about that," Castroneves said. "Coach Dungy has come to see me work in May, now I get to see him at work." Castroneves, a Coral Gables, Fla., resident will have a busy night. "We have a lot of parties," he said. "First of all, coming back after (IndyCar Series testing at Daytona International Speedway), we have a Maxim party, celebrity poker with Jay Z, Beyonce, Jennifer Lopez. "And also we have Jeff Gordon's party. I guess it's party after party, you know. I might charge (Penske Performance Inc., President Tim) Cindric (to stay) at my house. I understand they charge $600 a night but minimum one week, so I might charge him that, too." His Super Bowl pick? "You don't need to ask," he said. "Go Colts." Oops: Scott Sharp had the lone incident of the day, spinning into the tire barrier at the exit of the bus stop in the morning session. Though the damage to the rear wing and right-rear suspension was not serious, repairs were not complete before the rain came. Sharp's best lap of 1:13.3725 was eighth fastest of the day. Look for Patrick on Super Sunday: It's a go for Danica Patrick to be featured in a GoDaddy.com commercial during Super Bowl XLI on Feb. 4. Titled "The Office," it will air three times (sixth and 22nd commercial breaks and during the postgame show). The ad features an executive walking down a typical office hallway and talking about GoDaddy.com. When he opens the door to the marketing department, the corporate atmosphere quickly evaporates. Inside is a host of celebrities, including Patrick. Scarello lands seat at Andersen Racing: Joey Scarallo will drive the second Andersen Racing entry in the Indy Pro Series in 2007, team owner Dan Andersen announced Feb. 1. Scarallo, who grew up in Smithtown, N.Y., joins Andrew Prendeville of Morristown, N.J. as the drivers the Fairfield, N.J.-based team will use for the series-record 16-race season that begins March 24 at Homestead-Miami Speedway in Homestead, Fla.
Scarallo has been competing in Trans-Am cars since 2003, but he's excited to get back to his open-wheel roots in 2007. "The car was great," the 28-year-old said after passing his rookie test Jan. 24. "It was just very different from the Trans-Am cars I've been running. It took me a little bit to get used to it because it's so different than what I have been running, but it seems like it's going to be a lot of fun." Scarallo started driving competitively in karts at age 11 and quickly became a force to be reckoned with in the Long Island Karting Association, winning three championships with that organization in 1993. He's also won two national championships in the International Karting Federation. He then advanced to Formula Ford 2000 cars, becoming the youngest Bertil Roos Formula Ford 2000 series champion ever in 1995. The following year he recorded three top-10 finishes in the U.S. Formula Ford 2000 national championship. In 2000, he competed in six Champ Car Atlantic events. After that, he competed in Trans-Am cars and the American GT Road Racing Association American GT Challenge, winning five of six races in 2006. "We're delighted that Joey will be driving for us in 2007," said John Andersen, who manages the team's Indy Pro Series program. "Dan and I got to know him when he was running F2000 cars, and we know he can get the job done." Scarallo, who was born in Adelaide, Australia, graduated from Smithtown Christian School on Long Island. In addition to being a race car driver he manages Autotrend Tire & Wheel Co., his family's wheel-importing business in Lindenhurst, N.Y.
One person who will be cheering Scarallo on in 2007 will be three-time NASCAR Nextel Cup champion Darrell Waltrip. At age 13, Scarallo was diagnosed with a brain tumor. While bedridden and awaiting surgery, Waltrip, his childhood hero, called him to wish him good luck. Scarallo reunited with Waltrip in 2003 when the Trans-Am cars appeared with NASCAR NEXTEL Cup at Infineon Speedway in Sonoma, Calif. Scarallo still keeps in touch with Waltrip to this day. SAM HORNISH JR. (No. 6 Team Penske Dallara/Honda/Firestone, second fastest): "Everything seemed to go well for us. We just went out there and tried to stay out of trouble. The track is definitely challenging. It's a good place to be between the high downforce set up and the less downforce, so we try to gain time on the superspeedway portion or the infield. We had a good couple days and we're just trying to make small changes. The track is a lot of fun to drive. It's definitely one of my favorite places we've tested at for road courses. As far as the new Honda engine goes, things seemed to go really well. It seems to have a little more torque off the corners and creates a little more wheel spin. It brings a little more of the driver back into it - the human thought and control, trying to keep the tires underneath you. It's a new opportunity for me to try to learn a little more and try to get a little better. DAN WHELDON (No. 10 Target Chip Ganassi Racing Dallara/Honda/ Firestone, third fastest): "The Daytona Open Test went really well for the No.10 Target car. We got a lot done, and running the road course in the Dallara had me feeling much more comfortable and confident. It's a nice way to get the season started." TONY KANAAN (No. 11 Team 7-Eleven Dallara/Honda/Firestone, fourth fastest): "I think we did some positive things during the test to the Team 7-Eleven car. We seemed to go back a step in the last session today but I think we learned some things and that's what we were here to do. It felt good to finish at the top yesterday and to post the overall top speed during the test. I'm really happy for the guys on the Team 7-Eleven crew and the rest of the team. We've made up some ground and have to keep working to get better." SCOTT DIXON (No. 9 Target Chip Ganassi Racing Dallara/Honda/ Firestone, fifth fastest): "Well, It's really just been one of those days for the No.9 Target car. We might have ended up third fastest today, but it could have been a lot better. The car definitely has speed in it, and that's a positive, but we didn't get a whole lot of track time or good testing done. Instead of gaining some valuable insight by testing, we didn't get much track time because we basically had issues with nearly every part of the car; clutch, gearbox, cables, you name it we broke it. We just weren't able to get into any kind of flow of testing everything we wanted to get done and then the rain just put a halt on everything." 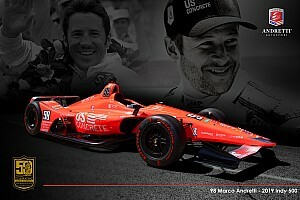 MARCO ANDRETTI (No. 26 NYSE Dallara/Honda/Firestone, sixth fastest): "Any time I'm in the car, I obviously want to be at the top, so the first few sessions were a little bit frustrating for us. But, in the last session, I felt like we found the balance of the NYSE car. The engineers and guys on the crew did a good job taking the feedback and making the car better. This was a fun test and a good way for us to start the season." The 2007 IndyCar Series season begins under the lights with the XM Satellite Radio Indy 300 at Homestead-Miami Speedway on March 24. The race will be telecast live by ESPN2 at 8 p.m. (ET) and broadcast by the IMS Radio Network. A Spanish-language telecast of the race will be carried by ESPN Deportes. 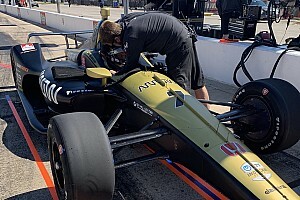 The IMS Radio Network broadcast also is carried on XM Satellite Radio and www.indycar.com. The sixth season of Indy Pro Series competition begins with the Homestead-Miami 100 on March 24 at Homestead-Miami Speedway. 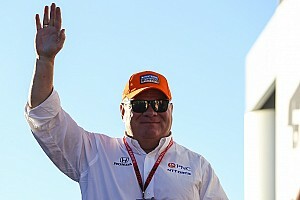 It will be webcast live on www.indycar.com and will be telecast on at 5 p.m. (ET) on March 28 by ESPN2.